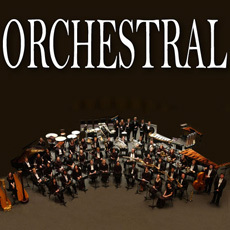 A great basic sample library to start your Orchestral music projects. Put classic sounds in your computer. You'll find everything from Brass to Percussion and Pianos to Woodwinds. It's all here and more. Whether you are looking to write some Classical or some Modern Rock/Pop, or if you're scoring for a Film project, this sample pack is ideal for you. Need a violin? Choose from several played in a multitude of styles. A Choir? That's in here too. There are also Organs, Electric Pianos, Hits, String Beds, and everything else you'll ever need and then some! Once you grab hold of this one, you'll never want to put it down! Want even more orchestral samples?